2. 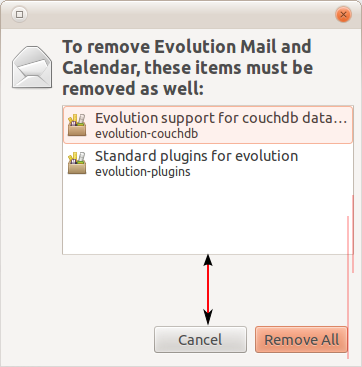 Navigate to Evolution, and choose "Remove". 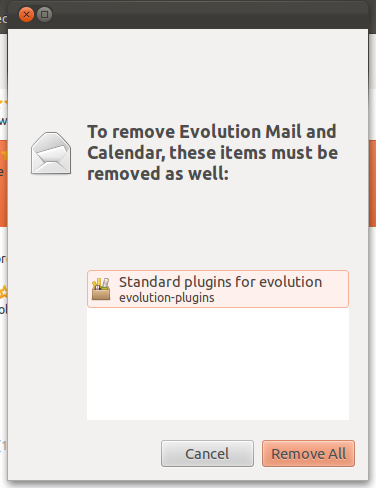 What you see: The "To remove Evolution Mail and Calendar, these items must be removed as well:" dialog has lots of weird vertical padding. What you should see: Standard dialog layout. It may save time to fix bug 825959 and/or bug 844025 at the same time as this bug. Matthew's branch is an improvement, but not a complete fix. dialog-improvements contains further improvements which correct the issue mpt highlighted. lp:~mmcg069/software-center/dialog-improvements r2443 fixes this bug. Thanks Matthew.